Even though summer may be officially over, #weddingszn is still very much in full swing. And when you have to make a long trek for your college BFF, second cousin, or significant other’s coworker’s friend’s big day, it adds a whole other layer to the travel planning. 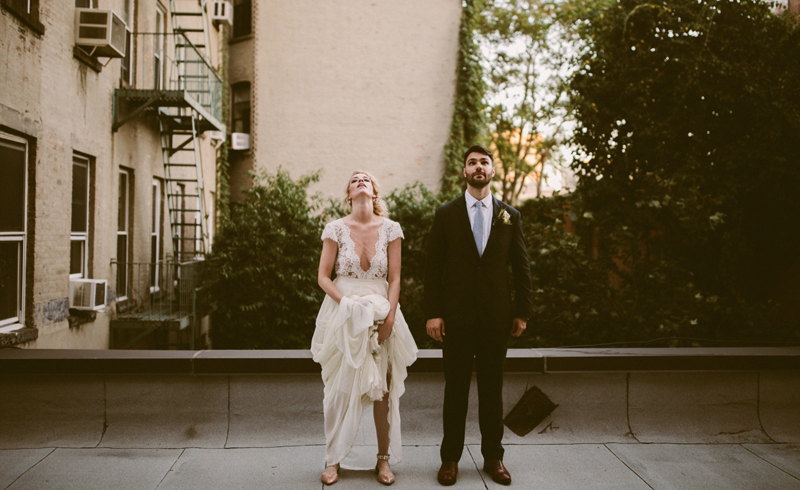 We know the struggle of scrambling to find a wedding outfit for the questionable weather that still goes with the fall color scheme and is made of a material that won’t wrinkle in your suitcase, booking the right hotel accommodations, and finding a flight that won’t cost more than the wedding does. To solve all our major wedding travel probs, we called on a wedding veteran: professional bridesmaid Jen Glantz, CEO of Bridesmaid for Hire and author of the memoir When You Least Expect It. Check out her simple tips to help you make it to your next wedding in one classy piece — without completely depleting your bank account. Stay on top of flight deals from the start. Glantz recommends that you be on the lookout far enough in advance to set travel alerts on sites like Google Flights or using apps like Hipmunk. (You can also take a look at more of our favorite travel deal sites.) “You’ll be able to find out about prices dropping all over the months before you need to actually book,” she says. And it’s no secret that airline prices spike for weekend flights: Glantz advises flying on a Wednesday or Thursday for significantly lower fares. With a day or two to spare before the wedding, you can make a mini-vacation out of it, doing some sightseeing and getting over your jet lag. Leave plenty of time for your dress to arrive. The last thing you want is to be throwing your suitcase together at the eleventh hour with no actual wedding wear in sight. When you know you have to travel for the festivities, get your act together extra-early. If you’re searching for a bridesmaid’s dress, Glantz recommends scouting out multiple vendors to see if you can find the same dress for less, or to try renting or buying a secondhand dress. “Look for the bridesmaid’s dress at least three to four months before the wedding, because shipping can be a little bit of a nightmare, especially during a busy holiday season,” she tells us. “Make sure that you have the dress in your arms at least two weeks before the wedding.” For guests, if you want to use a site like Rent the Runway for a dress rental, opt for a longer, eight-day rental option — even if you only need it for a weekend — to leave yourself extra time for it to arrive before you travel and to return it safely without incurring late fees. Always go with a carry-on. Glantz’s cardinal rule of wedding packing is to skip checking your baggage. 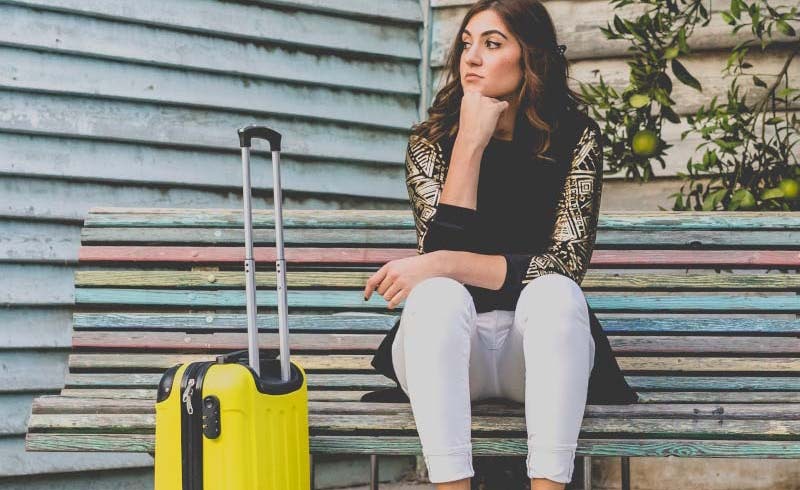 “I never want to risk having my bag not show up for a wedding!” It’s not worth the hassle of lost luggage and having to fashion an outfit out of whatever you can scrounge together at the airport. Packing a formal dress in a smaller carry-on size bag isn’t easy, but Glantz’s go-to trick is stashing a mini steamer in the bag to lift the wrinkles from the fabric in seconds. Be practical with a gift. “If you decide to get a wedding gift that’s not cash, be sure to have that gift shipped to the couple’s house; that way you don’t have to worry about traveling with it and having it break while in motion, or just forgetting it at your hotel room,” Glantz recommends. Think about it: As much as you don’t want to travel with a giant food processor in your luggage, the couple doesn’t want to travel home with that appliance multiplied by a hundred after the ceremony is over. For a portable gift that’s more personal than just cash, Glantz suggests a gift card for fun activities or restaurants near the couple’s honeymoon destination, or a gift card for home renovations to cover that special project they may not have wanted to splurge on before the wedding. Never arrive without a wedding emergency kit. Inside your carry-on, make sure to save extra room for a kit of useful items to prepare you for any possible crises you might run into throughout the course of the big day. As a pro bridesmaid, Glantz swears by this trick for wedding party members and guests alike: “I can’t recommend enough to bring Band-Aids, tissues, a pair of flat shoes, an extra phone charger, floss, superglue (in case any of your accessories break), and a hair tie to help recreate an evening look after your hair has been sweaty all night from being out on the dance floor.” When someone’s heel snaps in half in the middle of taking photos on a scenic ravine, you’ll be the MVP of the night.